There are different grammar checkers online available online in 2019, free and paid, and Grammarly is one of the best-known ones. The platform offers a free and premium version. The premium version will run you $29.95 a month currently unless you bundle months together to get a discounted rate. 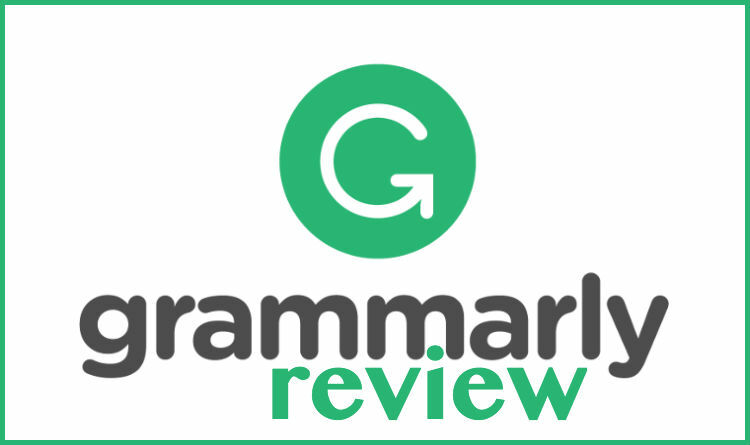 Read on for our Grammarly review of both the free and premium versions of this excellent software. After putting the premium version to the test, here are a few insights on whether it is worth going premium with Grammarly. One tool that could cut teacher’s time in half when grading papers is the plagiarism tool. Grammarly claims that the cloud-based software scans over 8 billion websites to look for plagiarized content. With this powerful tool, I can see this being a much-needed shortcut for teachers when grading student’s papers. Teachers can use this extra time to focus on helping improve their students overall writing and style. Also, when using the program in Microsoft Word, you can change the type or genre of the article you’re either writing or proofreading. You do have to add Grammarly to Word by following the prompts from your profile on the Grammarly website. With genres like essay and research papers to choose from in the academic section, you can move through papers using the grammatical styles associated with each kind of writing. Adding the Grammarly tool to Word and the plagiarism tool are both only available through the premium membership. Another perk of going premium is being able to look at advanced issues in your writing. When using the free version, Grammarly lets you know there are “X” amount of advanced issues that you can see IF you upgrade to premium. If you tend to write more than the average person and are interested in improving your writing skills and grammar, being able to look at the advanced issues is one of the best tools the software provides. Personally, I tend to write in the passive voice more than I want in my writing. The premium version of the grammar checker has helped me work towards breaking this habit. Also, it breaks the habit of using any repetitive words and even suggests synonyms that may fit better with your wording. Also, the ease of use of the software is great. Adding extensions to your browser and Word are simple and using the grammar checker is self-explanatory. Grammarly checks over 250 types of grammatical issues, spelling mistakes, and enhances the vocabulary of the user in the premium version. What I found using the tool is that they do deliver well on all of these categories. Grammarly does have a few drawbacks. It’s grammar suggestions may not always make sense regarding what you’re trying to write and get across to the reader. At this point, you have to use your best judgment in going with the suggestion or sticking with your original writing. An example of this is when the passive voice is necessary, and it wouldn’t make sense to use the active voice in the context of your writing. Grammarly tends to do this in different style tips and suggestions. Just check the context and decide on what sounds better to you. Also, when using the browser extension, Grammarly hasn’t picked up on how writing may differ on your personal social media. Sometimes when you add new statuses on different platforms, it’ll pick up multiple errors on abbreviations and social lexicon. Just clicking through these and being able to post can be time-consuming as well as irritating. Grammarly has a lot to offer to anyone who takes their writing seriously or grades any papers in an educational setting. With only a few drawbacks, the pros greatly outweigh the cons. The writing enhancing tool, whether in the free or premium version, does help writers create better content and helps break any old writing habits. If cost isn’t a factor for you and you enjoy improving your writing skills, the premium version may be a tool you’ll find useful. Overall, if you plan on writing more than the average person or you’re an educator who does need to proofread constantly, I would recommend the premium tool. If you don’t grade papers often or need to write much, trying the free version out would probably cut it for you. Start with the free version of Grammarly here. We hope you have found this grammarly review helpful. Have you tried Grammarly’s premium version? What did you think of the grammar checker’s tools? Brooke Allison is a freelance writer living in New Mexico with her husband. When she’s not writing, she’s exploring all that the Southwest has to offer. 13 Teacher Freebies For EVERY Educator in 2019!